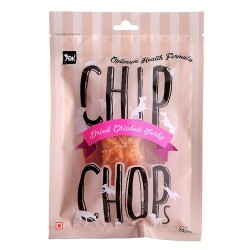 Product Information - Chip Chops Roast Chicken Strips snacks are made of fresh meat. They are carefully prepared to provide a pure, tasty and highly digestible snack. Chipchops has goodness with nutritional benefits for your pets well being. Chipchops are suitable for feeding as a snack, or a reward to show your pet love.